Whether they’re getting to grips with crawling or finding their feet and starting to walk, there’s no denying that babies love to be on the move. For times when mumma needs to catch her breath, the sleek baby swings by Mini Mase are a savvy way to save your sanity and stand still while your mini-me keeps on moving. 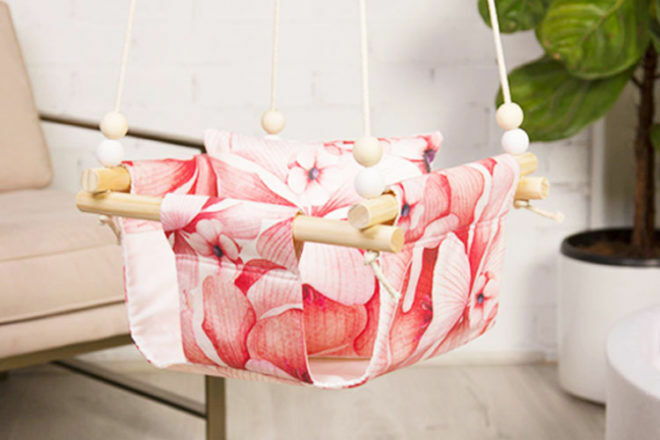 Handmade in Sydney using locally sourced products, the beautiful baby swings can be moved around the home with ease. 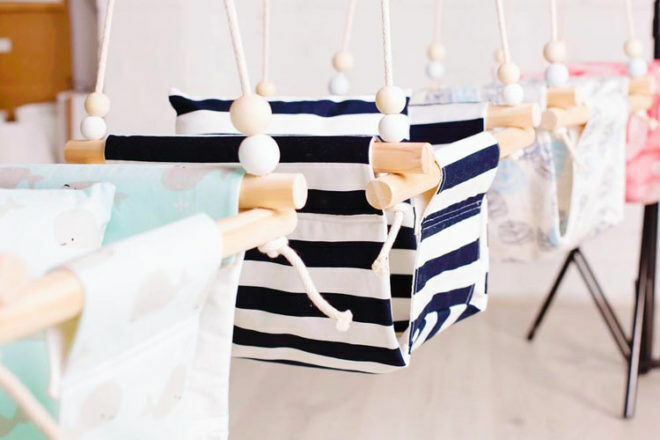 With the help of a carabiner, you can transport your stylish baby swing set from the playroom to the sunshine for hours of outdoor play. From Cherry Blossom and Raspberry Kisses to Whales and Watermelons – there are so many fun prints to choose from! 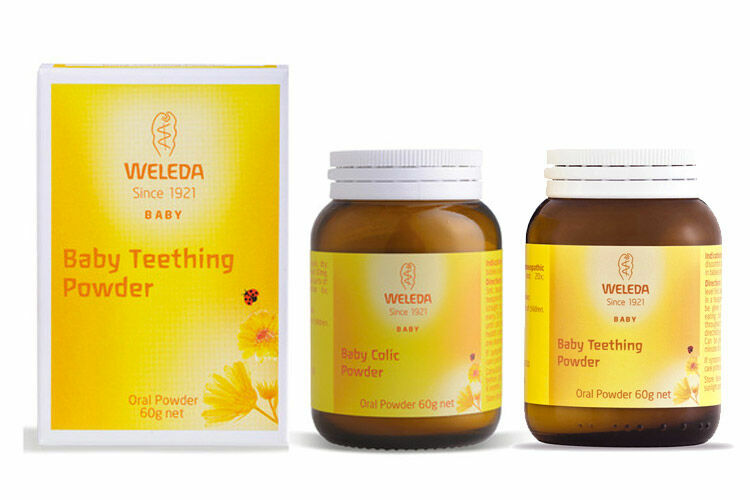 Suitable for babies age 6months-2years. 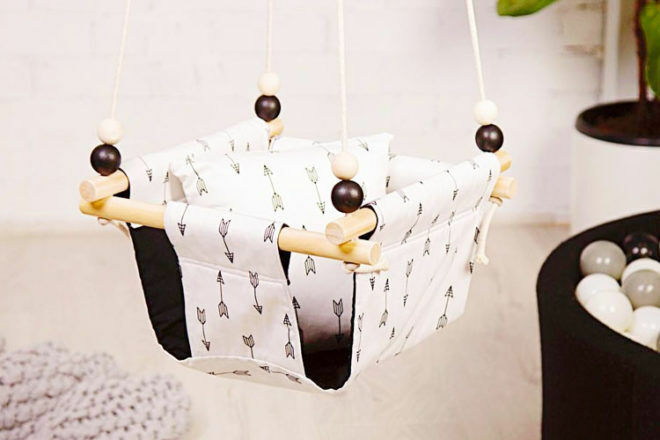 Baby Swings available online here ($99). Hang out and share your picks with other new mums all buying for baby too! 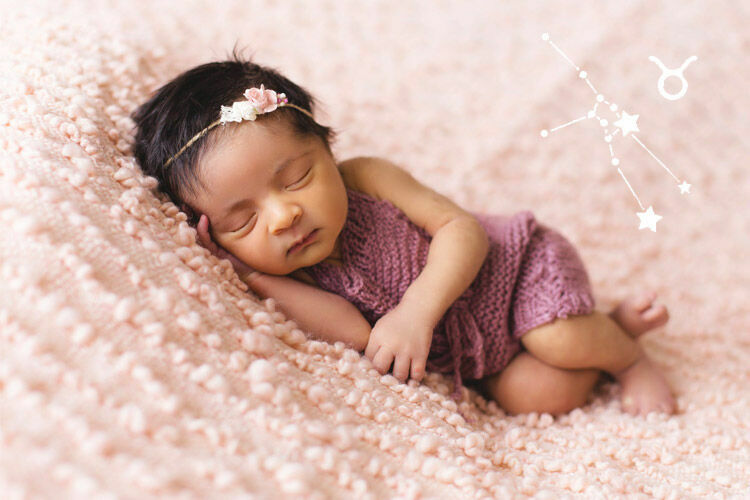 The Mum’s Grapevine closed Baby groups are safe and supportive Facebook groups based on the season you’re due – so your babes are all around the same age!